Aaron's Ampitheater At Lakewood In ATL June 4. . Wallpaper and background images in the Jesse McCartney club tagged: jesse mccartney aaron's ampitheater lakewood atl june 4. performance. 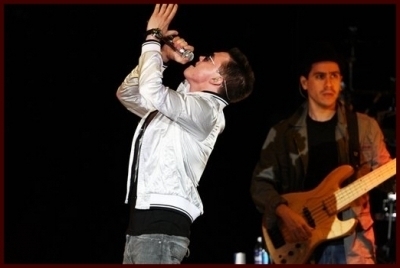 This Jesse McCartney photo contains concert. There might also be guitarist, guitar player, tennis pro, and professional tennis player.